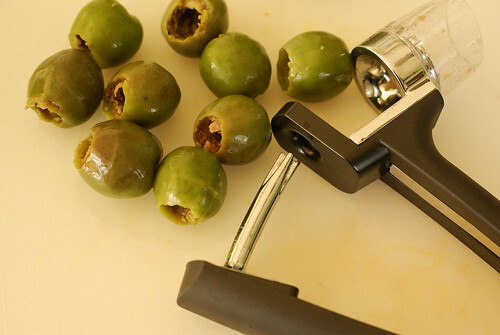 I chopped up the olives and tossed them with olive oil, red wine vinegar, capers, and chopped fresh tomatoes. The eggplant, which Jon dusted with more of his spice mix, was grilled and chopped up, then mixed with the other ingredients. 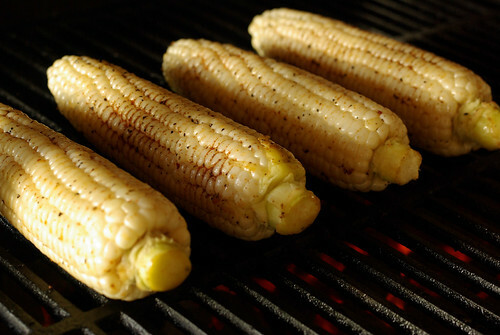 Finally, the secret ingredient: grilled garlic. 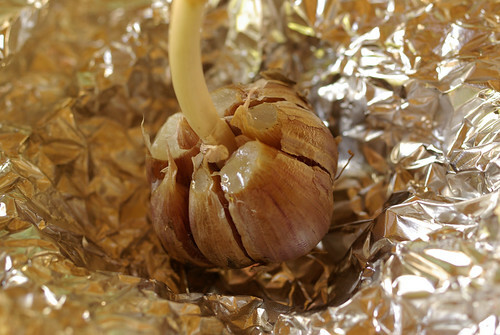 I took a head of newly harvested garlic, cut the tips off the top of the cloves, then wrapped the whole thing in foil and set it on the grill. 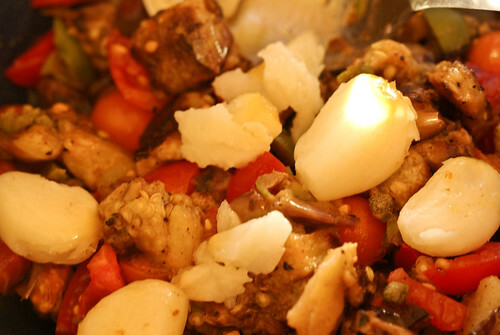 Once everything else was finished cooking, I unwrapped it and popped the garlic out of its skin into the caponata. This turned out to be a really good idea. 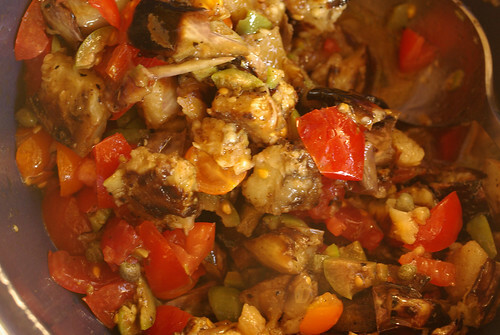 Some of the garlic dissolved into the caponata, and other cloves held their shape. 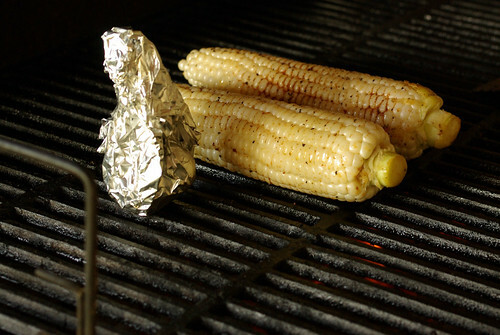 It had that sweet caramelized flavor that well-roasted garlic has, without being in the least burnt. I tried fishing out a clove and smashing it onto the corn, which was also a good idea. With a bottle of Willis Hall Cabernet Franc, this dinner really made my weekend. Mix all ingredients together. 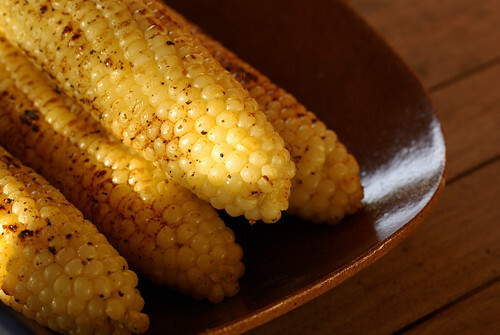 Toss corn into a bag or bowl with some canola oil, then add spice mix to taste and rub it in. Grill as desired. 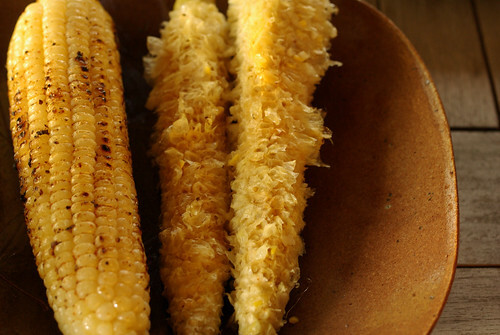 That’s officially the most perfect corn I’ve ever seen.